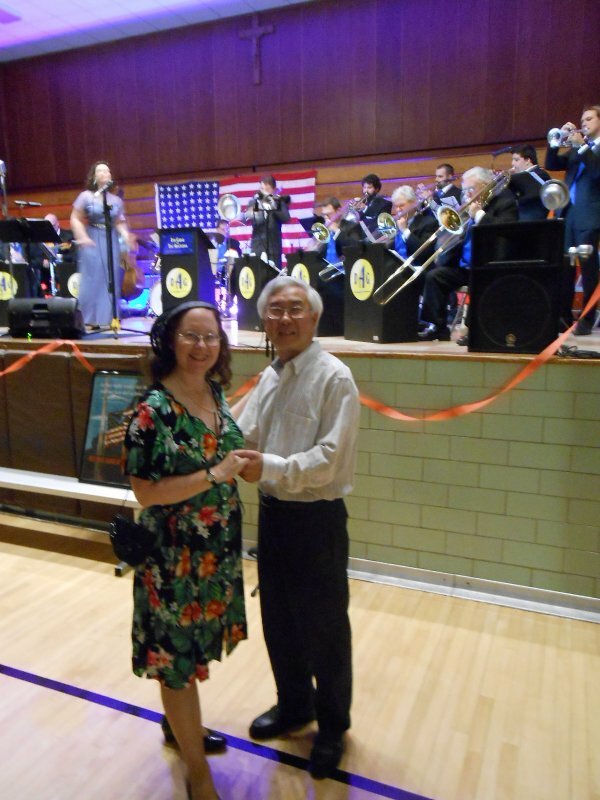 Sharon and Yang Swing Out (Dancing, That Is)! 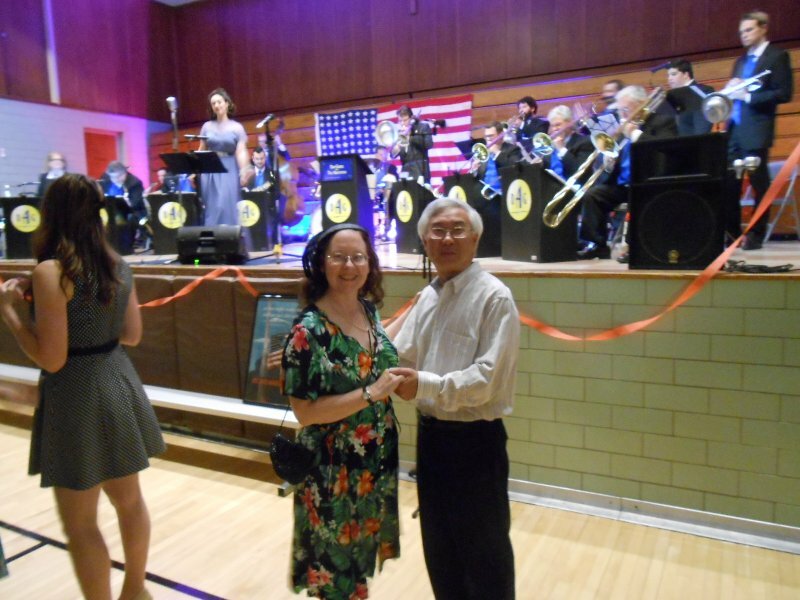 Two weeks back, Yang and I went to a swing dance that was part of a commemoration of the official end of WWII. To put it in contemporary terms, it was a swell time! 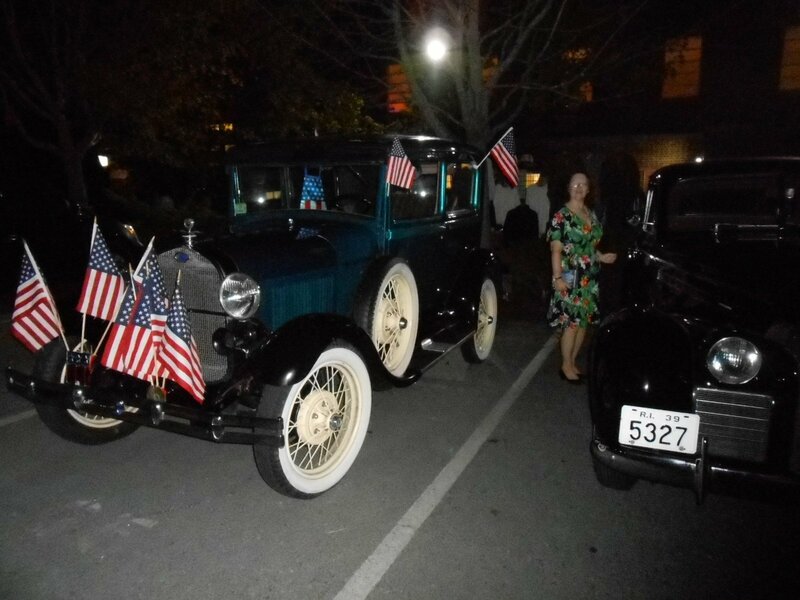 They had a WWII-era jeep and vintage cars from the the 1930s and 1940s. 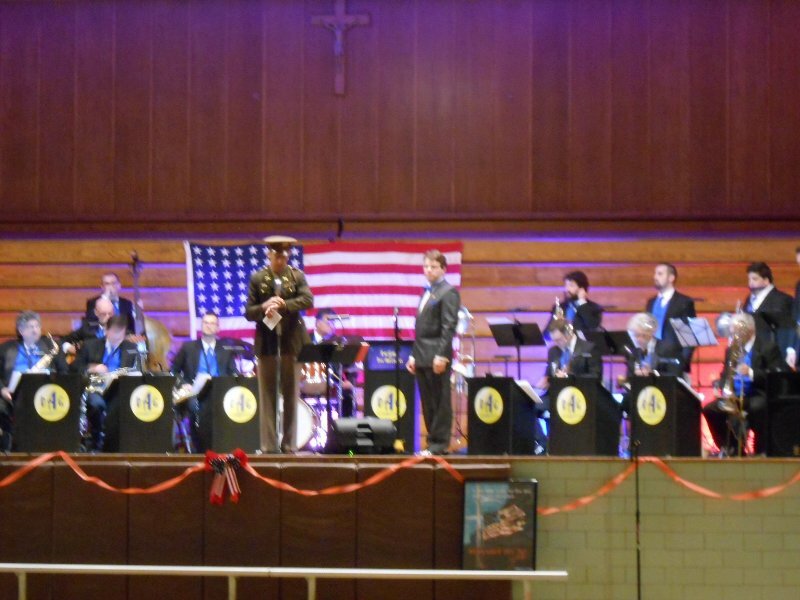 There were all kinds of neat memorabilia – and everyone dressed the way I like to, in forties fashions! 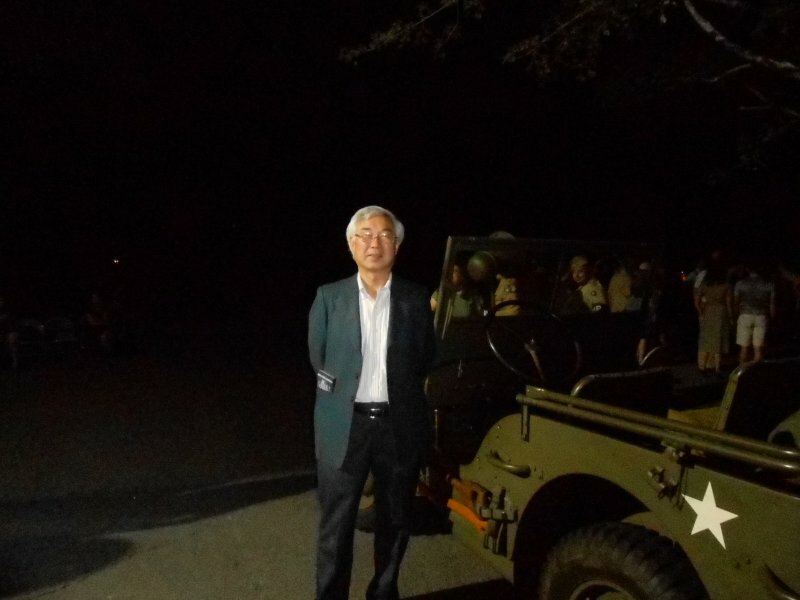 Here’s Yang getting ready for a spin in a jeep, a little too well-dressed for a trip to the front, though! Here I am, getting ready to make a getaway in a Chevy that reminds me of one my Dad had. This baby not only had vent windows to keep you cool without messing up your hair, but plenty of room in the front and back seats – and bench seats, too! The outside dance class – led by a guy in a bright yellow zoot suit. Either the camera photographs too slow for those jitter bugs, or, oh no! It’s a wormhole transporting us from 1940s Eureka into the present! 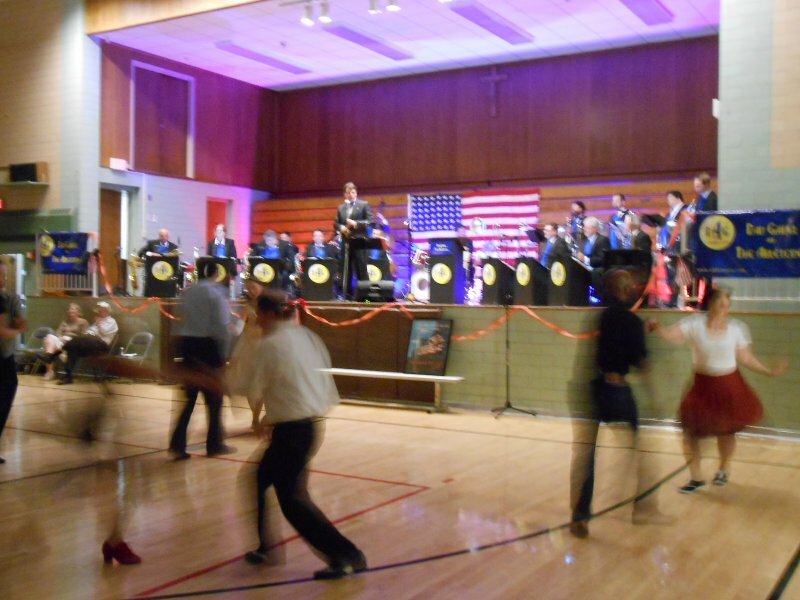 Indoors was the swing dance, with tunes played by none other than the 21st Century’s gift to swing, Dan Gable and the Abletones Big Band! 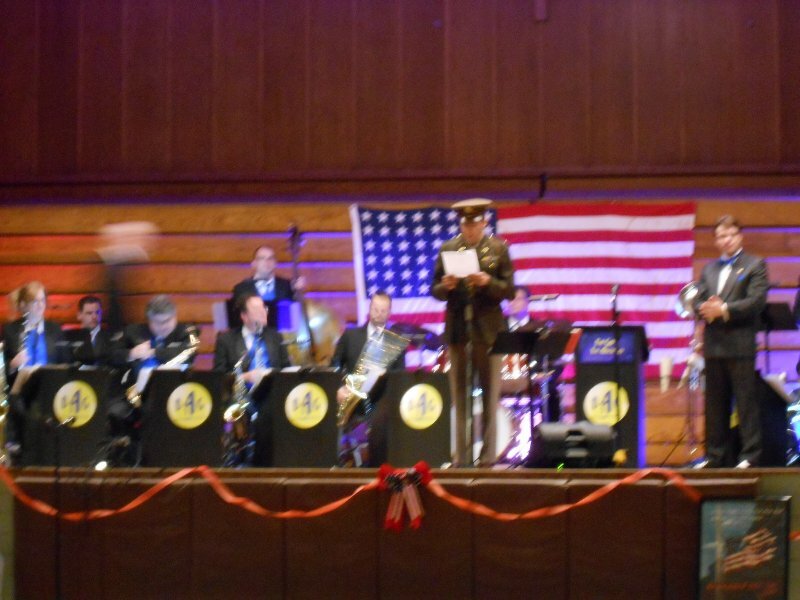 But first, we had a reading of the final surrender papers – then on to celebrate, shaking our tootsies to a hot jive beat! Look at them swing it on the floor! More than their feets are a blur! 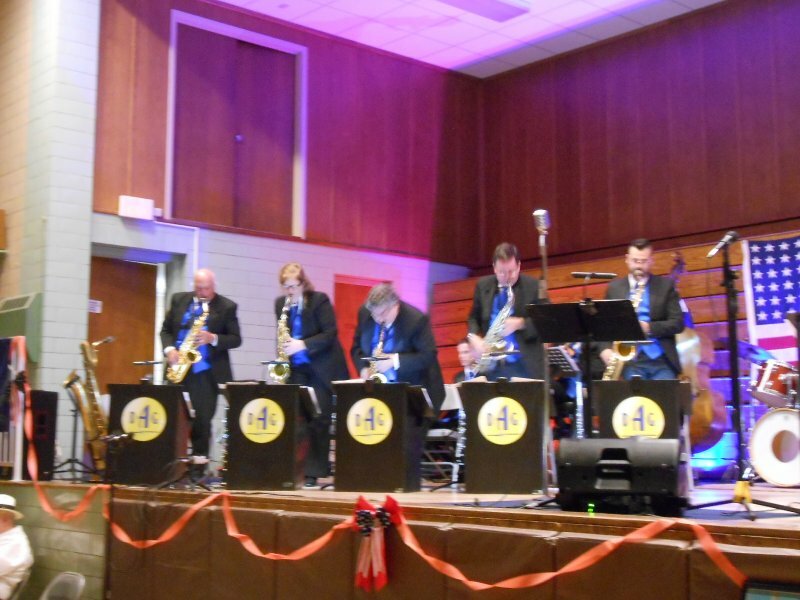 Dig the sax section swing it! 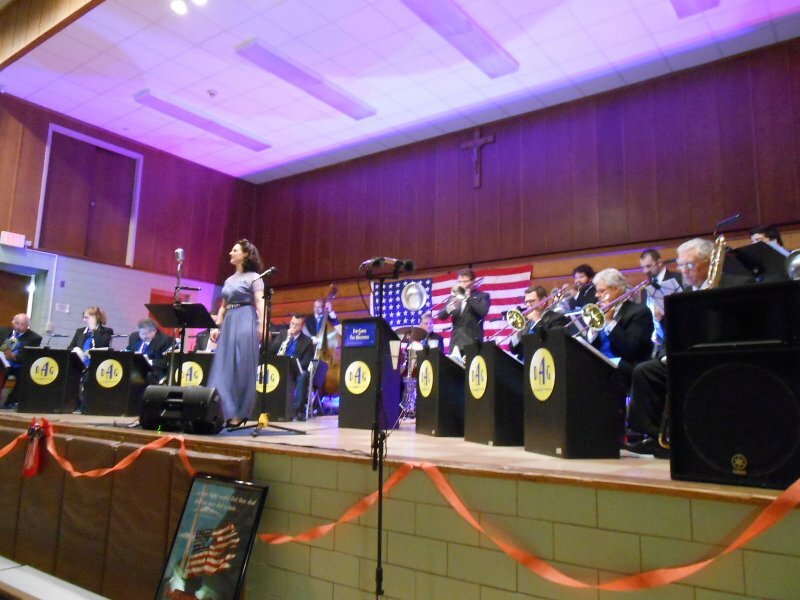 We could also dream and swing to the sweet song stylings of vocalist Elise Roth. And here we are again because we’re just so cute when we’re dancing! Then there was the dance contest. We thought we’d sit that one out. 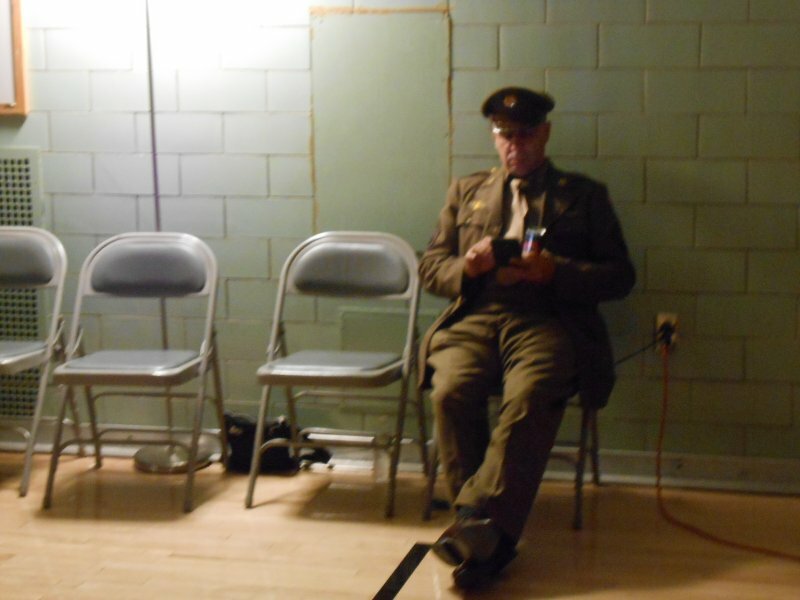 And my favorite, the WWII officer checking his iPhone. 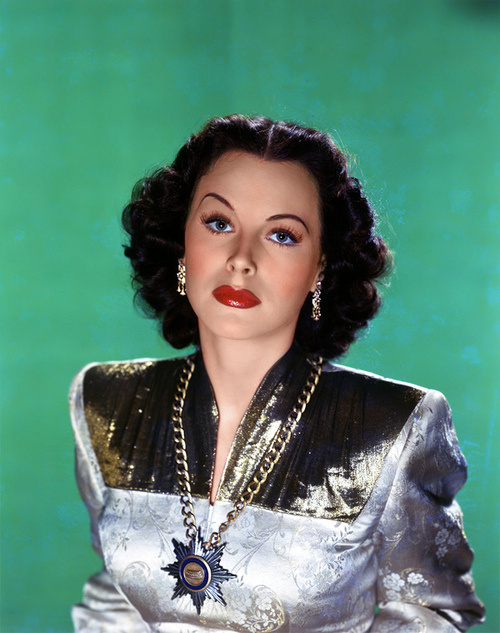 Well, it’s not that strange when you consider that Hedy Lamarr was co-creator of the programming that underlies cell phones. Either that, or he managed to come back through the wormhole with some technological gizmos. Just another day in Eureka. Great pics!!! 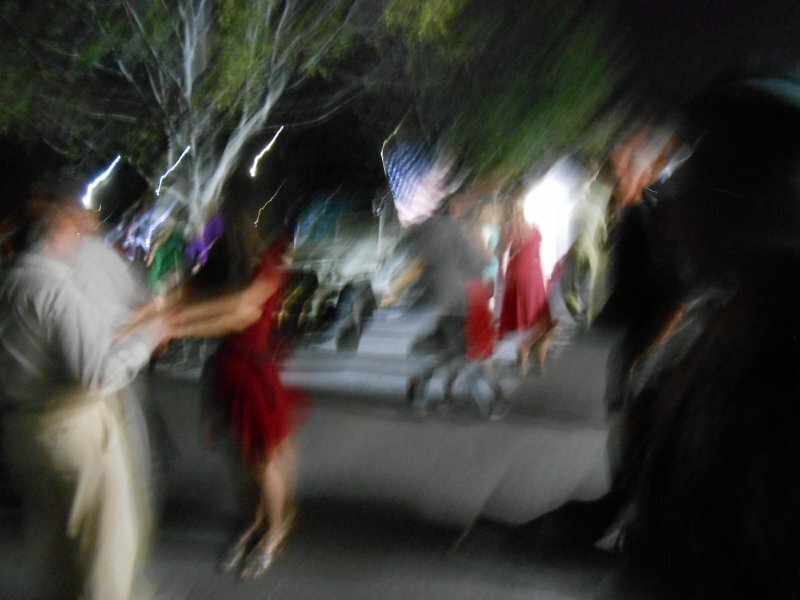 I guess you and Yang did have a blast… In one of the pics (the dancing couple to the left) the woman has disappeared except for her shoes! It looks like the party was the bees-knees! 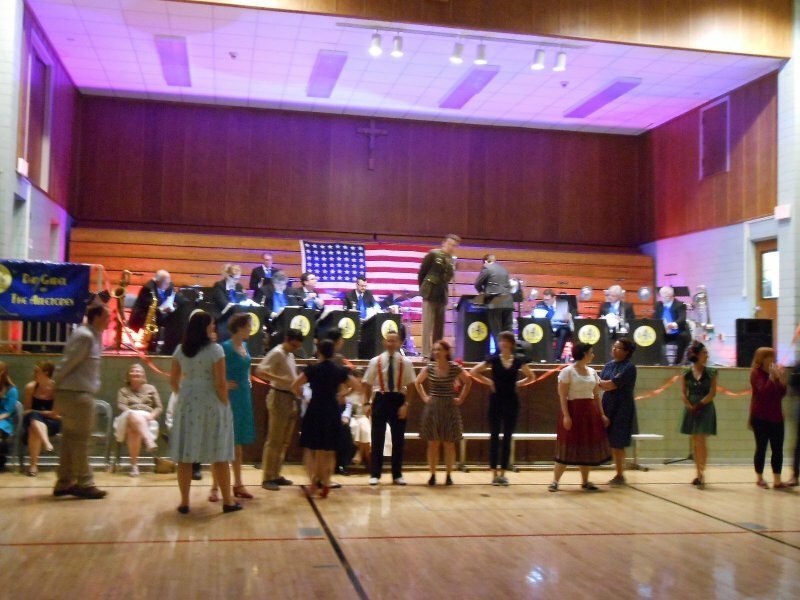 We certainly had a a “grand” time, as they used to say in the forties! 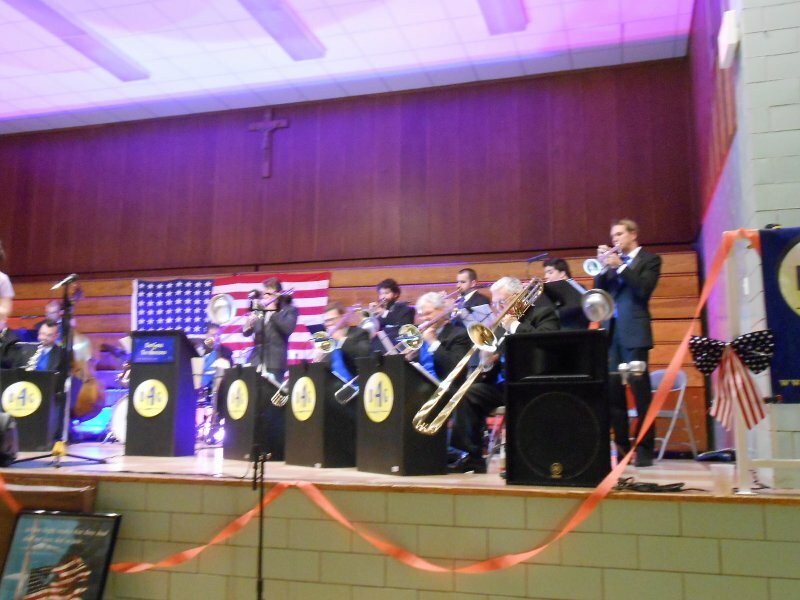 The decorations were neat and Dan Gable’s big band was superb. They are so good that you can just sit and listen to them if your dogs start barking from too rug cutting. They really move fast! What can I say? Either that or it’s a worm hole!